Do you know what’s being said about your franchise online? As a franchisor, your brand and reputation are critical to your success and one of the first places a prospect or customer might start to form an opinion about your business is on the internet. With a number of websites like Yelp, Facebook and Google My Business offering review tools, it’s important to stay on top of what people are saying about your business online. According to a consumer review study, nearly 75% of consumers say they’re more likely to trust businesses with positive reviews. In addition, 60% say they quickly disregard the idea of working with, or purchasing from, a company with negative online reviews. Not only do consumers care about a company’s online reputation, so does Google. Your company will go up or down in Google rankings based on whether you receive negative or positive reviews. In addition to affecting customer acquisition, your online reputation can also affect your ability to attract quality franchisees. Studies show that serious franchisee prospects will do a lot of online research on a brand before considering an opportunity. They want to be part of something they believe in and that projects a positive image. If your online reputation is negative, that could mean the difference between a great prospect reaching out and them moving on to another option. As a franchisor, it’s important to ensure that efforts are being made by your marketing team and those of your franchisees to improve and control the company’s reputation. Here’s how. The first thing you or your franchise marketing agency needs to do is find out what’s being said about the company right now. For a franchise that means looking at reviews of the company and individual locations. If your research shows that you have no or very few online reviews, it’s a good idea to start thinking of ways to start building those up. If you find a lot of negative comments against the franchise or your franchisees, make sure head office or the franchisee is responding to these comments with either an explanation, apology or discount on a future order if appropriate. Suggesting to reach out to the person via email is often a good way to make the discussion less public. This will show potential customers that you care about their input and satisfaction level. Some companies avoid responding to negative reviews – whether they’re valid or not. The problem with this approach is that not responding is, in essence, a response. It tells consumers that you don’t care about them or their input. Remember to respond to positive reviews, too. They will make your customers feel appreciated. According to the consumer review study, 50% of consumers were happy to leave a review for a company when asked. At Sparktank, we’re working on reputation management programs to help franchisors build positive online reputations. Using customer feedback and review funneling tools, we will offer a systematic way to request reviews from clients and filter them before they get posted on various review channels. 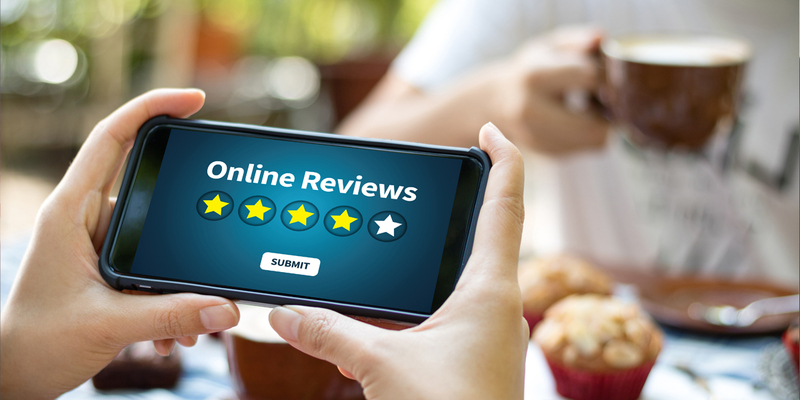 This will give the franchisor or franchisee the chance to respond to negative reviews before they go online or post them if they are positive. With so many customers make their buying decisions based on online reviews, this program has the potential to really boost your bottom line. Feel free to contact us If you are interested in building an online reputation program for your franchise in the future, and we’ll keep you updated!